CrampX® is the original proprietary formula of natural and organic flavors, vitamins and herbs that reach muscles. 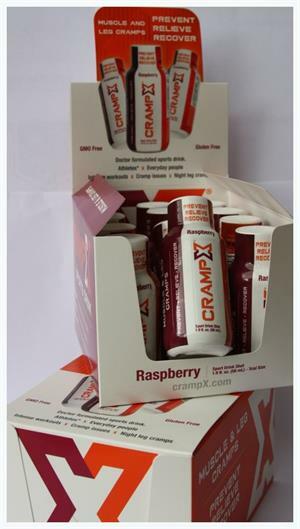 CrampX® works directly to prevent the onset of a muscle cramp or relieve the pain in seconds. It took our inventor, Dr. Herbert E. Dempsey along with his patients over 10 years to determine which ingredients make this proprietary formula so effective. CrampX® contains filtered water, natural pure cane sugar and natural FDA certified fruit flavors for taste. CrampX® tastes like a sport drink and is sport safe.